Bill Blair has a big new job. Does anyone know what it is? 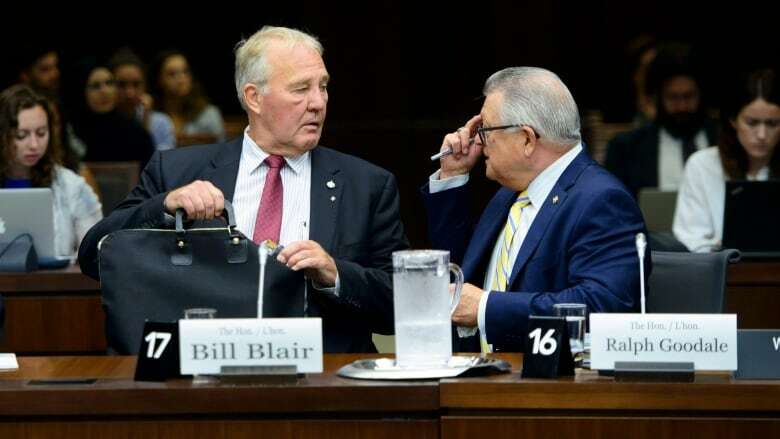 Bill Blair has been the cabinet minister in charge of border security for three weeks now - but it’s still not clear what he's been asked to do. Critics claim Blair's appointment is feeding a phoney sense of crisis. Bill Blair has been the cabinet minister in charge of border security for three weeks now — but it's still not clear what he's being asked to do. Questions about the extent of his powers, and who ultimately will be responsible for directing Canada's response to a wave of asylum-seekers coming from the United States, remain unanswered. The former Toronto police chief has no department, no staff. A spokesman for Public Safety Minister Ralph Goodale said Blair is "being supported out of our office in the meantime." Blair still doesn't have a mandate letter from the prime minister. Such letters are sent to all new members of cabinet, setting out exactly what the prime minister expects of them and which policy priorities he's earmarked as their own. In other words, the new minister is still waiting for his marching orders. Trudeau's office says Blair's mandate letter is on its way, noting it took a couple of months for new ministers to get their letters following the August 2017 cabinet shuffle. But the delay in Blair's case — given the politically sensitive nature of his file — is raising eyebrows. "When this is plunked down into the middle of a situation that is this politicized, and when the rights of a particularly vulnerable group (are) so clearly at stake, it is troubling that there's so little clarity," said Alex Neve, head of Amnesty International Canada. His organization and eight others representing churches, refugee and civil rights groups fired off a mandate letter of their own on Wednesday to the prime minister, highlighting what they call "the inevitable confusion in the division of responsibilities" between Blair, Goodale and Immigration, Citizenship and Refugees Minister Ahmed Hussen. The letter urges Trudeau to act quickly to clarify Blair's role and responsibilities, given the "misconceptions in the country with respect to the numbers and circumstances of refugee claimants crossing into Canada from the United States." "What is his new role?" asked Neve. "Is it one man with an office staff who will be doing some public speaking and some intergovernmental coordination? Or will he head a department with clear duties and responsibilities?" There are already indications that Blair's appointment is muddying the waters on an issue that's giving the government a lot of grief. Conservative immigration critic Michelle Rempel exploited the uncertainty over Blair's duties in a testy exchange with him at a special meeting of the Commons immigration committee shortly after he was named to cabinet. "Just to clarify this, will Minister Goodale report to you?" Rempel asked. "Absolutely not, no," Blair responded. "Will the CBSA report to you?" she continued. "No," Blair replied. "Will the RCMP report to you?" "I am not in receipt of my mandate letter," Blair said. "And until I ... receive that direction from the prime minister, I wouldn't want to speculate for this committee." 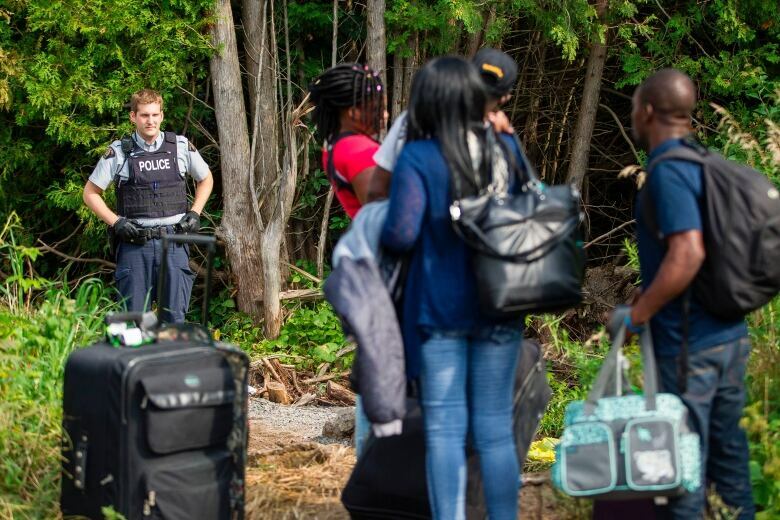 The PMO says Goodale will continue to be responsible for the Canadian Border Services Agency (CBSA) and the RCMP, both of which have sent officers to process the people who have crossed the border over the past 18 months to claim asylum. Hussen remains in charge of the Immigration and Refugee Board, which reviews those claims and decides whether the claimant has legitimate reasons to be granted refuge. So Blair has been left to work it out as he goes along — announcing funds for emergency accommodation in Toronto, talking with American officials about what can be done to discourage these so-called irregular crossings. The government already knows it has a political problem on its hands, with a 2019 general election campaign bearing down. A public opinion poll released last week suggested that a majority of Canadians believe the recent volume of illegal border crossings constitutes a 'crisis' — even though roughly half of the respondents vastly overestimated the number of people (roughly 30,000) who have entered this country to avoid possible deportation in the United States. Feeding a climate of 'crisis'? Blair and Goodale both responded to that Angus Reid Institute poll. Goodale suggested the results reflected what he called a lack of public understanding about the "facts and figures" of the border situation. "So we have to certainly be more aggressive and forthcoming in describing the actual facts at the border," he said. "For example … the numbers that we're dealing with in the last couple of years are not all that different from the numbers that existed 10 years ago." Blair, meanwhile, told CBC Radio's The House that poor communication is only part of the problem. 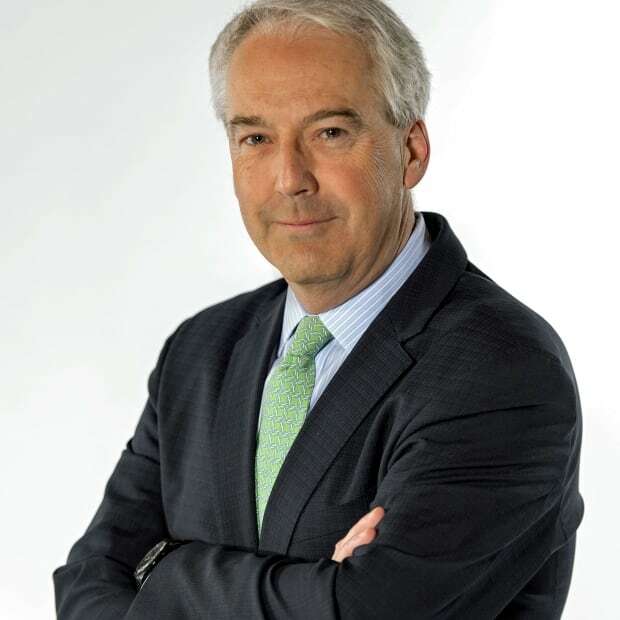 "I think it clearly demonstrates that we need to do a better job and, frankly, that's my responsibility — to assure Canadians that these processes are being well-managed," he said. Neve said he believes the government is sending the opposite message. Amnesty International and the other agencies who wrote the letter argue the decision to name a 'minister of border security' is actually fuelling a bogus sense of crisis. They also warn that giving Blair an additional responsibility for reducing organized crime risks feeding the narrative that people seeking refugee status in this country pose a security threat. "It's contributing to an already toxic environment around this issue," Neve said. Blair's job, arguably, is to combat that 'toxic environment'. Telling him how he's supposed to do that might be a good place to start.